In the 36 European countries whose technological development had been monitored by MEDIA Salles at 30 June 2017, the number of digital screens touched on 38,600. In six months - from January to June 2017 - on these markets the number of digital projectors rose from 37,995 to 38,589, recording a 1.5% increase. Of the just under 600 new installations - an average of 100 every month - a considerable part occurred in countries such as Russia, Turkey and the United Kingdom, in other words on markets where the rate of digitization had already reached 100%, or almost, but where openings of new complexes were continuing to be recorded. Whilst announcing the results at 30 June, MEDIA Salles also publishes an updated version of the situaton at the start of 2017 which, with the addition of Albania, Georgia, Montenegro and Ukraine, includes 41 countries. In this issue our column hosts the portrait of a site visited by Nicola Curtoni and Emilia Desantis on their "Giro dei Cinema (Tour of Cinemas)". 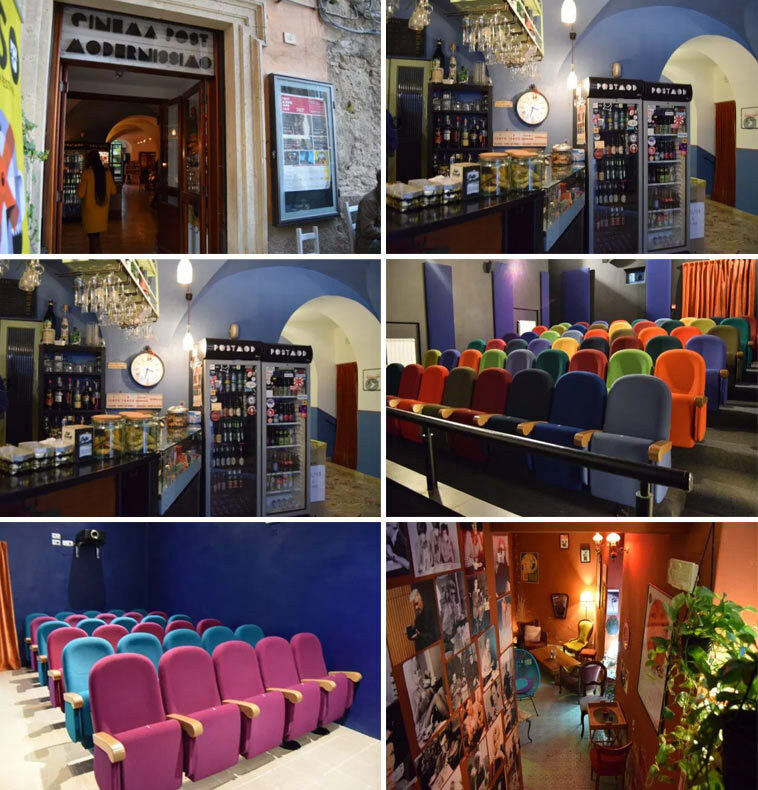 The Cinema Nuovo in Lioni, a little town in Irpinia halfway between Avellino and Salerno, belongs to the D'Amelio family, who have been in the exhibition business for over 60 years. Lioni was violently hit by the earthquake of 23 November 1980. The Mayor had the firm intention to rebuild a cinema in the town. It was opened two years after the earthquake, on 23 November 1982: a single-screen theatre seating 320 in a prefabricated building, which was to be the home of Lioni's cinema for over twenty years. 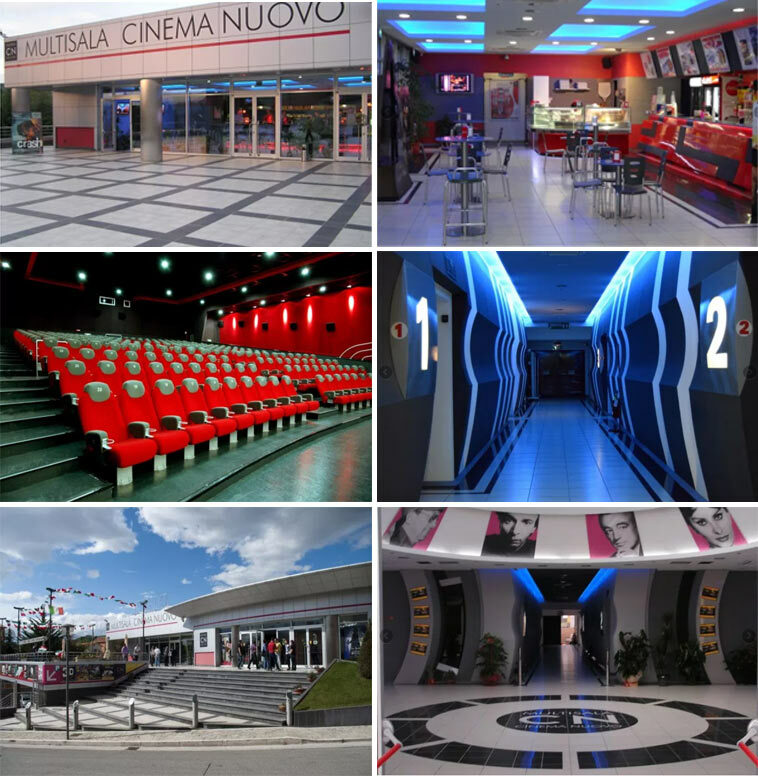 In 2005 the Cinema Nuovo, a multi-screen theatre, was inaugurated, with three auditoriums, one seating 390, equipped with a 4K digital projector, and another two seating 250 and 190. As well as the 3 auditoriums, the cinema, which is distinguished by its elegant architecture, includes a large hall, a bar and a pizzeria. The digital shift initially took place in one auditorium only. On the first day of the release of Avatar, Alfonso D'Amelio realized the film's great potential in 3D and called his supplier: "Please get hold of another projector: I want to install it by tomorrow evening!" Thanks to the collaboration of suppliers and technicians, the Cinema Nuovo was fitted with a second digital projector and in both auditoriums all of the screenings were sold out that weekend and for the following week. Alfonso is an exhibitor who is full of energy and combines intuition and vision. For the 3D systems in operation he has patented a system for cleaning the 3D XPAND glasses with a band of light, selling it to over 100 theatres in Italy. The process of digitalization in cinemas, albeit with considerable differences from territory to territory, is reaching its final phase and the so-called "switch-off" for traditional film is almost complete. But which cinemas have not yet converted to the new technology? And why? This column has been opened to find answers to these questions, presenting portraits of cinemas in Europe that have not yet digitalized or that are still looking for a way to deal with the shift. The population in the centre of Perugia, a city of 168,000 inhabitants at the heart of Italy with a wealth of artistic and cultural heritage, has gradually drained away over the past 20 years: the choice of re-introducing a cinema meant swimming against the current. The idea started to take shape in 2013. On their return from the Venice Film Festival, Giacomo and Ivan, friends of over 20 years, decided to try opening up a theatre. They had already worked in cinema exhibition but were looking for a personal project, centring around social life and the films they loved. Almost by chance, thanks to the support of the Perugia Municipalit too, the opportunity came from the owners of a cinema in the old city centre, famous for art-house films but closed since 2000. They decided to extend the group and were joined by Andrea, who returned from France to take part in the project, and another Andrea, "the secret partner". "Each of us", explains Giacomo, "contributed his own peanuts but we didn't have a big margin." Partly for economic reasons it immediately became necessary to build a community around the project. A participatory financing campaign was launched: in exchange for financing (from 10 to 1,000 euros), contributors received bags, T-shirts, subscriptions or other benefits. The choice was made to manage the venture as a non-profit, social co-operative, giving those interested the opportunity to become partners by paying a quota of 100 euros. Citizens can therefore take part in the life of the new venue and decide at the meetings which direction to take. These forms of financing produced 10% of the 400,000 euros required, whilst also being proof of a collective need. Regional funds for business enterprises by young people (50,000 euros) and a European fund accessible through the Regional Authorities of Umbria (150,000 euros) covered another part of the financing necessary. "Without interest?" "Eh, vain hope!" Basically these are loans which, in comparison with bank loans, offer more favourable interest rates (1%) but also more precise conditions regarding spending. The only interest-free income for the project was a reimbursement for setting up businesses and 50% of the first year's rent, thanks to regional support for business ventures by young people. A loan from Banca Etica made it possible to cover the rest of the costs. The result: in December 2014 the cinema opened. It had been restructured to produce 3 auditoriums from one single one. Programming ranges from art-house movies addressing the public in general, to pure indie, experimental or niche movies. On a Wednesday the films are shown in their original language and a discount is offered. Special showings take place on a Monday and focus on authors (sometimes wholly monographic) or on countries, succeeding in attracting audiences even from outside the province. The third auditorium, built from a storehouse, seats 30 people and is equipped not with a digital projector but with a LED video-projector. "The third auditorium allows us to keep long runs or offer more niche products", continues Giacomo. After their initial doubts, distributors provide blue-ray more willingly and the film can remain on the screen for long. "In the same way as the third page of a daily newspaper, the third auditorium is created to make room for research (video-art as well), historical film weeks and special focuses."